Work which we participate with in the exhibition, 1988 & 2018 / Olympic & Paralympic (Feb 9-Mar 18, 2018, Culture Station Seoul 284), organized by the Korea Craft and Design Foundation (KCDF). In 1896, the first modern Olympic Games were held in Athens. The image of the goddess holding the laurel wreath and tree branches was initially made as a cover for the event report, but later it began to refer to this image as the first Olympic poster. Unfortunately, it is not known who the designer is. 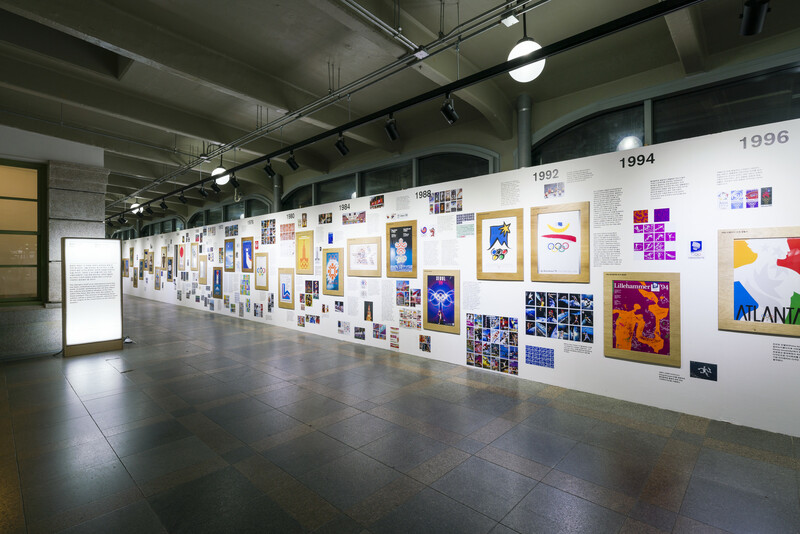 It was officially known as the Stockholm Olympics since 1912 that it officially began producing posters as a symbol of the event. The posters contained images of white men with ideal muscular bodies and the flags of the participating nations, but at the time they were criticized because of their high body exposure. The designer Olle Hjortzberg (1872-1959) was a painter and illustrator of murals of churches. After studying at the Royal Swedish Academy of Fine Arts, he began his career as a painter in 1905 after traveling with his wife to Paris, Florence, Perugia, the Middle East, Syria, Palestine, London, and Rome. Meanwhile, the Tokyo Olympics in 1964 was the stage for the test of whether Japan, a war criminal nation, could be accepted as a member of the world after the Second World War. Therefore, it can be guessed that the visual symbol to convey the value and ideology of the host country would have been produced with difficulty. The designer of the poster, Yusaku Kamekura (1915-1997) graduated from the Institute of New Architecture and Industrial Arts, a school built by Renshichiro Kawakita, who studied at Bauhaus in Germany, with a catchphrase called “Bauhaus in Japan.” He was one of the most active designers in advertising and publishing at the time. As a result, the poster was rated excellent for design and production quality and won the Milan Poster Design Award. The Olympic Games itself is an international event with the modernization of the world. 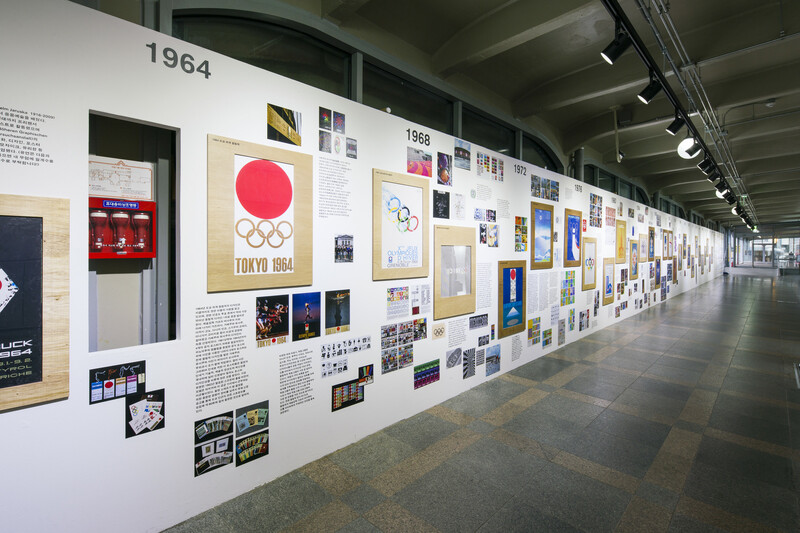 The Olympic poster will also reflect the cultural and political situation of the time. But who was the designer who created the poster? The process of identifying it will be a loose but specific reference to the origin of the visual form of the Olympic poster.